MoveTheDial is a global movement dedicated to increasing the participation and advancement of women in technology through shifting mindset into one of proactivity, building and uniting community to take big steps together, and delivering uniquely inspiring and highly impactful programs. And, we measure our results. As a founding leader of #MoveTheDial, I am excited to be launching, in partnership with Jodi Kovitz, the #MoveTheDial stories program and platform. Last night in collaboration with YouTube, a sold-out crowd of 180 women heard powerful, inspiring stories of women who are changing the world. Lisa Lisson (CEO, FedEx Canada), Janet Bannister (Partner at Real Ventures), and Kathryn Hume (VP, Integrate.ai) kicked off the night with their personal stories. Women also had the chance to record their own stories in YouTube story booths. This is just the beginning. We will be holding storytelling salons for women to share and listen to stories that #movethedial every quarter. We also are launching a #movethedial digital storytelling platform where amazing stories of brave women will live for anyone to access. In partnership with Raccoon (a Wattpad company app), we will enable anyone in our community to capture and share their own stories of inspiration. Clearly, we believe stories #MoveTheDial. We are greatly influenced by what we see and hear. There is a distinct lack of bold female stories in circulation. Role models matter, and with so few women leaders it is essential that we elevate strong stories to give access, exposure, and spark inspiration for more women to be brave, bold, and authentic in living their dreams. Yes, I would like to live in a world where gender is undefining; where who you are as a human being, your beliefs about the world, and your ideas and actions to improve the future are defining. Sadly, we aren’t there yet, and that’s why this initiative is so important. Hearing courageous personal stories has a magical effect as people begin to realize heroes are human – that they too had doubts, fears and challenges, yet often just went ahead anyway. You are a product of your experiences, and the more access and exposure to stories of brave, courageous, bold, risk takers, the greater likelihood we create women who will #MoveTheDial. The date for the next storytelling salon is January 30th and will include live storytelling by Michelle Romanow (CEO, Clearbanc), Joanna Griffiths (CEO, Knixwear), and Leila Boujnane (CEO, Tinyeye) to name a few. How can you help #MoveTheDial, right now? Share your personal story today by downloading Wattpad’s Raccoon app here and using the #MoveTheDial hashtag. 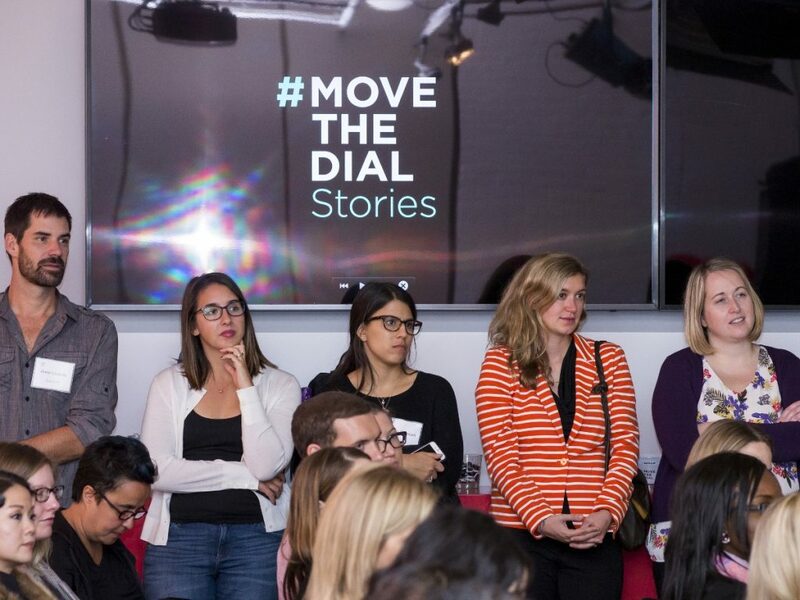 #MoveTheDial stories are unscripted, authentic and all about you: what was a life-changing moment for you? What is your big idea for the world? How has someone moved the dial (helped create a step turn in your career) for you? Join the #MoveTheDial community on our website www.movethedial.ca to receive updates on events and programs, become a partner or volunteer and to receive Where is the Dial Now? – the first ever national Canadian report on the comprehensive state of the nation for women in tech – the minute it comes out next week. BetaKit is a #movethedial media partner. An entrepreneur and investor, and the former GM of the world’s largest storytelling platform, Wattpad, Candice knows firsthand how stories actually do change the world. 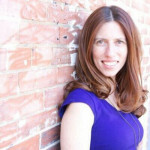 She is very passionate about the fact that exposure and access to bold stories and ideas will drive impact. She wants as many people to be inspired by global and local stories of amazing women and men who are living their dreams.